Rabbi Yehuda Herzl Henkin is an important modern posek who has been issuing rulings and responsa for over twenty years. * American-born and residing in Israel, Rabbi Henkin writes almost exclusively in Hebrew. He has collected his responsa in Shut Benei Banim (hereafter, SBB), currently in three volumes, published, respectively, in 1981, 1992, and 1998. Rabbi Henkin is a first-class posek, who brings mastery of the sources, powerful analytic reasoning and creative thought to addressing a wide range of halakhic questions covering all four sections of Shulkhan Arukh. He combines his intellectual prowess with a practical sensibility and a respect for societal differences. He assesses the sources honestly, and rules leniently when the sources and the circumstances warrant and stringently when they do not. He rules on issues of contemporary significance, including women’s issues, with more openness and sensitivity than one finds from most other poskim. Unfortunately, Rabbi Henkin and his responsa have been largely unknown outside of Israel. His new English book, Equality Lost (Urim, Jerusalem: 1999), will hopefully serve as a remedy to this situation. Rabbi Henkin’s writings in English are more terse and dense than his lucid Hebrew writings, and at times are polemical rather than expository. As a result, readers may find this book somewhat difficult to read. This obstacle aside, Equality Lost is a book of importance for the Modern Orthodox community, opening, as it does, a window into the thought and the rulings of this serious, sensitive posek. Regarding the other sections, the following may be said. The Torah Commentary section, while containing some novel interpretations and readings, as well as a short essay attempting to delineate more precisely pshat from drash, is worthwhile reading, but the insights are primarily of a local nature. The biography of Rav Yosef Eliyahu Henkin, z.t.l, focuses more on this gadol’s activities and the events on his life than on his personality or methodology of psak. Nevertheless, most American Jews of this generation are ignorant of the existence of this posek, who was the premier posek in America prior to Rav Moshe Feinstein, z.t.l. This biography goes a long way in filling a woeful gap in our knowledge of one of the gedolim of the last generation. In his essays on Jewish thought, Rabbi Henkin proves himself to be more than just a posek. He understands that the role of a rabbi requires not only rendering narrow halakhic decisions, but also taking responsibility for the issues of the day. This is borne out by his choice of topics. He does not deal with abstract, theological issues. Rather, he addresses incompetent rabbinic leadership and national disunity (“Why Was the Second Temple Destroyed”), the failure of rabbis to openly confront violent Jewish extremists (“Killing Captured Terrorists”), religious apathy towards the State of Israel (“The Strength to Repent…”), and misdirected religiosity, either through a focus on punctilious care in the details of mitzvoth with disregard for their values (“It May be Glatt…”), or through an embracing of upbeat prayer melodies which undercut the meaning and appropriate experience of the prayers (“Who Will Live or Die, tra la la…”). Not only in his choice of topics, but in his treatment of them as well, Rabbi Henkin inclines to the pragmatic over the metaphysical. He understands many of the problems that Israel faces today to be the result of our own failed leadership and religious infighting, and not divine retribution for sin. The course of action that this interpretation suggests is not repenting to God, but directly and practically addressing the roots of the problem. Rabbi Henkin’s innovative reading of texts in support of his positions can be seen in how he interprets the famous Talmudic passage that identifies sinat chinam, baseless hatred, as the reason for its destruction of the Second Temple. Rabbi Henkin argues that this does not refer to a sin, but to the historical reality that sectarianism and in-fighting led to our own destruction. Given the religious predilection for identifying theological causes for historical events, such an interpretation is noteworthy for its practical, pragmatic orientation. It is an orientation that is noticeably present in Rabbi Henkin’s halakhic writings as well. Turning to the Halakha section of the book, the reader is first struck by the degree to which a historical and sociological sensitivity pervades Rabbi Henkin’s halakhic writings. Rabbi Henkin is inclined to understand earlier rulings in their historical context, and thus limit their applicability. In the early 18th century, Chavot Yair prohibited women from saying Kaddish. This responsum is regularly quoted by those who prohibit women from saying Kaddish today. In response, Rabbi Henkin demonstrates that at that time, and indeed until the mid-nineteenth century, only one person would say Kaddish for the entire congregation. Under today’s practices, where all mourners say Kaddish in unison, a woman would be permitted to say Kaddish together with male mourners (“Women and Kaddish,” pp. 44-46). In the same article, Rabbi Henkin also limits earlier rulings on the basis of their sociological and cultural context. Thus, the rulings of some Sephardic poskim which prohibit women from saying Kaddish are similarly deemed irrelevant, inasmuch as their conception of the appropriateness for a woman to be saying such prayers is at odds with the Ashkenazic one (pp. 46-47). Recognizing historical and cultural differences is important not only for contextualizing rulings of other poskim, but for understanding the scope and applicability of Talmudic rulings as well. In his article “Hirhur and Community Norms” (pp. 76-86), Rabbi Henkin defends the Modern Orthodox lifestyle that allows for intermingling of the sexes. Talmudic passages voice concern that such intermingling may lead to illicit sexual thoughts. He argues that as a result of habituation, such neutral intermingling is now nonsexual and thus permitted. Rabbi Henkin is quick to point out that the vast majority of Talmudic edicts are categorical and not open to contextualization. However, some areas can be legitimately contextualized, and it is critical to identify what those areas are. In the case of prohibited provocative behavior, some rishonim and achronim already state that this to be determined based on individual circumstances. Other cases may be found in the Tosafists discussions of the rabbinic requirement for mayim achronim and the prohibition against clapping on Shabbat, where they state that these laws were limited to a set of specific circumstances that were no longer applicable in their day (Berakhot 53b, s.v. viHiyitem; Beitza 30a, s.v. Tnan). The challenge for the posek is in knowing when such arguments can and should be made. It requires a courageous posek to apply this approach when it is warranted, rather than to reject it out of hand because of the threat that it represents. Rabbi Henkin also argues for recognition of the evolving nature of halakha. He states that an honest assessment of the evidence demonstrates that rulings are rarely closed, and even the Shulkhan Arukh is not treated by poskim as absolutely definitive. Decisions are always open for review, and different halakha may prevail in different communities. Halakha is an ongoing process, not some static monolith. (“Women, Kaddish, and the Halachic Process”). For Rabbi Henkin, then, halakha is not static and unchanging. Quite the contrary, current halakha is a stage in an ongoing process, different for different communities, and always subject to review and revision. While halakha as a whole must not be historicized, it is critical to realize that in very specific cases some of its norms are contingent on certain historical and sociological realities. In the Orthodox community there is strong resistance to this approach, and the fear of its potential abuse is intensified by the Conservative movement’s frequent use of the historical method in its halakhic process. It should thus come as no surprise that when Rabbi Henkin used this approach in an article in Tradition to justify the intermingling of sexes in Modern Orthodox communities (“The Significant Role of Habituation in Halakha,” Tradition, 2000, volume 34, number 3), it earned him the ire of Tradition’s previous editor, Emanuel Feldman. Could not R. Henkin’s theory be applied to annul the laws of yihud (seclusion with a forbidden woman), since their intent is to restrain a possible rush of sexual ardor that might lead to sin? Could not one argue that in our “inured” society there is no need to be concerned with this? R. Henkin’s application of his theory ignores the well-known principle that Torah laws are made for all times. Although in his article Rabbi Henkin had anticipated these challenges, and emphasized that habituation is only relevant to very specifically defined areas of halakha, his statements apparently fell on deaf ears. The fact that a posek of impeccable credentials such as Rabbi Henkin is subject to such derision, particularly in regards to a point which he had already explicitly addressed, is a further comment on the depth of the resistance to this approach and the courage required to apply it when it is justified. Beyond an awareness of historical and sociological realities, Rabbi Henkin’s pragmatic orientation often brings about a significant shifting of the locus of a halakhic problem. For example, some poskim discourage women from attending a women’s-only megillah reading, because of the absence of a minyan of ten men, and questions as to the proper blessing to be made. Against such formalistic halakhic considerations, Rabbi Henkin posits the very real concern that women are often unable to hear or even attend the regular megillah reading, making the smaller women’s reading the halakically preferable one (“Women and Megillah Reading,” pp. 59-60). Similarly, in a short responsum (SBB I:5), he addresses the phenomenon of mothers who bring their small children to the synagogue, thereby disturbing the services. The questioner wished to require that such women stay at home with their children. Rabbi Henkin responds that the solution is not to exclude mothers from the synagogue, but for the synagogue to provide child care. Such an obvious, practical point is often lost even on the most progressively-minded synagogue rabbis and presidents. Rabbi Henkin is careful to distinguish what is and what is not included within halakha. For example, most Orthodox Jews believe that tzniut is about wearing modest clothing and is the obligation of women. While tzniut is a halakhic requirement, a clear look at the sources reveals that it is the man’s obligation not to look at uncovered parts of a woman’s body and not the woman’s obligation to cover herself. This, Rabbi Henkin states, is indeed what the halakha is, community assumptions notwithstanding (“Hirhur and Community Norms,” p. 76 and SBB III:26). Such distinctions can have profound practical implications, and it is worth speculating how the religious roles of men and women might shift and the status and self-perception of women might be transformed if this halakhic point were internalized. Rabbi Henkin also completely rejects the masking of public policy opinions as halakha (“Women and Kaddish,” p. 42). 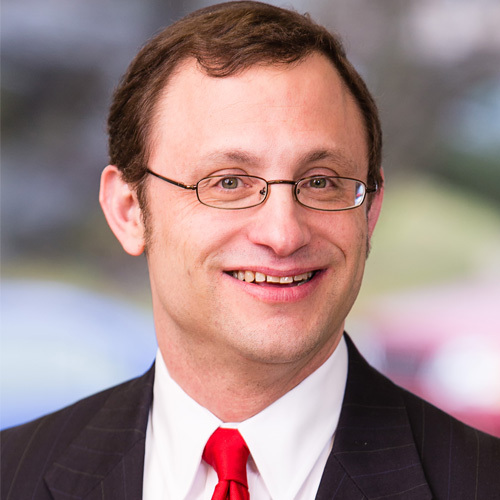 Rabbi Henkin believes that it is appropriate for a rabbi to make a public policy argument and perhaps even forbid certain behavior on public policy grounds, but when he does so he must be careful not to cloak his position in halakhic language. Moreover, a rabbi’s policy decisions are not binding ex Cathedra, and he must be prepared to argue for and defend his decision on public policy grounds, weighing all the various pros and cons of the issue. Public policy tends to be used selectively depending on the issue being discussed. In the case of organ donation and brain death, it is usually the more modern poskim who invoke public policy considerations. On the other hand, it is often these same poskim who limit themselves to discussions of technical halakha and do not address the public policy issues in the case of women’s prayer groups. Public policy considerations are very real, and they need to be addressed honestly and not merely employed as a tool to achieve a desired end result. In the case of women’s prayer groups, for example, such a discussion would seek to honestly evaluate and balance such issues as traditional gender roles, kavod habriot, and inclusiveness. Rabbi Henkin’s call for a separation of halakha from public policy is most welcome, as an open and honest debate of public policy considerations on their own merits can only benefit the Jewish community. We are halakhic Jews, and we should accept with faith and love even those disabilities and restrictions which Halakha may place on us. Similarly, in areas of public policy, Rabbi Henkin weighs each case on its own merits. In the case of women saying Kaddish, he is willing to pit his policy of inclusiveness against others’ policy of limiting women to the private realm (p. 47). In contrast, he rules that while women’s aliyot are technically permissible on the grounds that a congregation can waive its honor, this practice should be prohibited on public policy grounds because such a congregation would eventually lose its Orthodox affiliation and commitments (SBB II:11 and Edah Journal vol. 1 issue 2). Rabbi Henkin is a posek with integrity who rules according to his best read of the sources and circumstances. [T]here is no halakhic imperative to introduce mingling of the sexes where it does not already exist. What we have said here is a justification of community practices, not an agenda. It is much easier to legitimize existing practice than to justify new ones. It is known that were it not for kaddish, many would refrain from teaching prayer to their sons and would not come to synagogue. When they come closer because of kaddish they also come a bit closer to Judaism the rest of the year, and for this reason itself one should not rebuff the na’arot (young women) either, since it fosters closeness to Judaism. These statements and others like them make it clear that Rabbi Henkin professes a value of pragmatic inclusiveness and not a philosophical egalitarianism. But there is more. We have already seen how he calls on synagogues to provide child-care for children rather than demanding that their mothers stay at home. For Rabbi Henkin, a woman’s desire for greater religious participation demands our respect, not our skepticism and derision, and this remains true even when this desire extends to areas of new ritual. 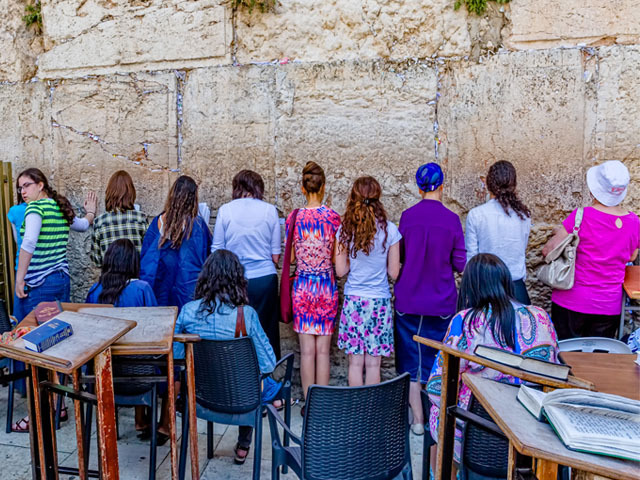 Women who desire to pray in a women’s prayer group, or to wear tzitzit, tallit, or tfillin, often find their motivations questioned and attacked. No less a figure than Rav Moshe Feinstein z.t.l. states that it would be totally forbidden for a women to wear tzitzit if she were motivated by a feminist ideology, an ideology which Rabbi Feinstein considers heretical (Iggrot Moshe, Orah Hayim, IV:49). Although Rabbi Henkin does not actually defend feminism, he rules that a woman may wear tzitzit, and completely ignores the issue of her motivation (SBB II:3). Rejecting arguments to forbid women’s prayer groups on the basis of the prohibition of bichukoteihem (going in the ways of non-Jews; here, following a feminist ideology), he states that the Torah only prohibits non-Jewish actions, not motivations or movements (SBB II:10). While Rabbi Henkin defends many of the practices emerging from Orthodox feminist women and refuses to question their motivation, he avoids any direct support of feminist ideology. This position also emerges from Rabbi Henkin’s writings on Jewish thought. The book’s first essay, also entitled “Equality Lost,” seems to promise by virtue of its title that it will articulate a vision of an ideal halakhic and religious system where women and men are deemed as equals. This promise, however, is only to be partly fulfilled. Rabbi Henkin’s vision is of an ideal Judaism that affords women equal respect and dignity, but at the same time affirms role differentiation and hierarchy of status. What we have lost is not a gender equality of roles and status, but rather due regard for women’s equal intelligence, potential, and dignity. One searching for a fundamental value of equality would be naturally drawn to the first chapter of Genesis, where man and woman are created simultaneously and equally biTzelem Elohim, in the image of God, and are equally blessed and commanded by their Creator. The divisions of role and status that are found in the Torah occur only later: between man and woman, in Genesis chapter 2, where Eve is created from Adam and for the purpose of helping and completing him; between Jew and non-Jew, in the Noach-Abraham-Exodus narratives; and between Kohen, Levi, and Israel in the Sinai-Ohel Moed-Korach narratives. These divisions can be understood, in this paradigm, as a true “lost equality,” a necessary compromise between the ideal and the real, between human beings’ ontological equality and the realities of society. This vision would see the mitzvoth in which these hierarchical distinctions are embedded as necessary compromises to specific socio-historical realities, such as Rambam argued in the case of sacrifices and we implicitly assume in the case of slavery. The goal, according to this vision, would be to work within the halakhic system to restore the real – society and halakha – to the ideal to the greatest extent possible. Rabbi Henkin does, in fact, turns to the creation story, but he chooses to focus on the second chapter of Genesis and not the first. In turning to chapter 2 of Genesis, Rabbi Henkin has a different type of equality in mind. He states that woman was created as an ezer kenegdo – a helpmate equal to him or, as he puts it, “God created woman equal to man in order to assist him in fulfilling the commandment” [emphasis mine] (p. 15). Man is the one fundamentally commanded and in relationship with God, but woman is his intellectual equal who can help him fulfill his obligations. Rabbi Henkin proceeds to describe that the cause of the first sin was man’s zilzul – disrespect, belittlement and underestimation – of woman: he infantalized her and this brought them both down. The lesson is clear: men should treat women with full respect and dignity and see them as their intellectual equals. Nevertheless, “[t]his is not advocacy for radical egalitarianism. The Torah prescribes different roles for men and women.” (p. 19). This affirmation of role differentiation must be read alongside his essay “The Place of a Woman,” which appears in SBB I, and was curiously not included in Equality Lost. In this essay, Rabbi Henkin tackles the verse “All glorious is the King’s daughter within the palace” (Ps. 45:14), which is used in the Talmud to indicate that, in the modern idiom, “a woman’s place is in the home.” Rabbi Henkin asks two very simple questions: Is this verse prescriptive or descriptive? If descriptive, is it descriptive of an essential character of women, or just of the most common role that they adopt? What is at stake is obvious: only by reading the verse, and the Talmudic passages which quote it, as descriptive of a non-essential trait of women can one argue for the legitimacy of women’s public role. And this is exactly what Rabbi Henkin does. Here he does turn to Genesis 1, and quoting the verses of man and woman’s equal creation and equal mandate to subdue the earth, he argues that at least in the area of playing a public role, the Torah sees no essential differences between man and woman. A woman who chooses to play a public role and remains “God-fearing” is to be praised as the true eishet chayal of Proverbs. It is not initially obvious how to reconcile these two essays. The denial of essential differences between man and woman comes close to suggesting that the different roles assigned to them by halakha are some compromise with societal realities. The fact that the “Torah prescribes different roles for men and women,” would remain true, although not be the ideal. However, nowhere in his writings or halakhic rulings does Rabbi Henkin seem willing to advance an ideal of egalitarianism. It would appear, rather, that Rabbi Henkin is denying only an essential character trait of women that would define them as private beings. Other essential differences, such as inherent capacities for nurturing and care-giving may exist in his scheme. The role differentiations assigned by halakha are an ideal, and would require women to play the role of child-bearer and nurturer for which they are biologically adapted. This role and obligation would not, however, restrict women to the home. A woman would be entitled to play a public role alongside her private one if the circumstances of her private life permitted. Rabbi Henkin is as a posek whose stated values are respect for differences, openness to new phenomena and new societal roles, and pragmatic inclusiveness. Whether Rabbi Henkin actually subscribes to a feminist ideology which he feels that for the sake of acceptance as a posek he cannot express, is impossible to know, although this seems improbable. When quoting a Talmudic passage where Rabbi Yochanan states: “to me, women are like white geese,” Rabbi Henkin voices no critique and passes over it silence (p. 77). The question of his personal ideology is in any case moot. As a posek, he does not operate with a feminist ideology. Given the courage that Rabbi Henkin regularly demonstrates, it is perplexing when he steps back from this stance. Rabbi Henkin delivered his “Hirhur and Community Norms” essay as an address at the 1998 Jewish Orthodox Feminist Alliance (JOFA) Conference. He does not share this fact with his readers and refers to the forum as “a conference plenum of 2,000 women in February 1998” (p. 84, footnote 1). We can only speculate why he did not identify JOFA openly. Perhaps he believed that this would label him a feminist and cause him to lose credibility or acceptance within the Orthodox community. Whatever the cause may be, Rabbi Henkin chooses at times to act more cautiously than we have come to expect of him. A similar phenomenon is present in the way in which Rabbi Henkin ends many of his responsa in SBB. Often, he will spend many pages demonstrating the permissibility of a certain practice only to forbid it in the last paragraph on what seems to be a very questionable basis. Three examples will bear this point out. In one responsum (SBB III:27), he demonstrates the theoretical permissibility of women reciting sheva brakhot at the wedding meal, but refuses to apply his conclusions to practice, stating that “not just because we can make an argument should we act on it, particularly in a case which requires a minyan.” In the same responsum, he refuses to even discuss the possibility of women reciting sheva brakhot under the chuppa. In an earlier responsum in the same volume (SBB III:21), Rabbi Henkin argues that the Biblical obligation of hair covering for women is limited to the majority of the woman’s head, not the majority of her hair. The additional obligation of dat yehudit, the norms of Jewish women, is determined by the practice of Jewish women in one’s community. Thus, one can defend the practice of women who expose a lot of hair outside their hats, if this is the practice of their community. Nevertheless, he states in the last paragraph, women should only allow a hand’s-breadth of hair to be exposed, as is the prevailing custom among modest women, for “not just because we can make an argument should we act on it.” Moreover, he states, the norms of dat yehudit are to be determined only by modest and not immodest women. If by immodest women he means to include all those who expose a good deal of their hair, then he has made his entire earlier definition of dat yehudit meaningless, since more lenient community norms can now be rejected on the basis that those who practice them are immodest. As a final example, in the same responsum where he permits women to wear tzitzit, he forbids them to wear a tallit on the basis of a statement in Targum Yonatan (SB II:3), a work generally not recognized as a halakhic source. It is hard to believe that this source is the actual basis for his ruling, and one wonders if other considerations played a role. Perhaps Rabbi Henkin is concerned that his rulings will appear be too radical for certain communities and cause him to lose standing as a posek. We would still be faced with the anomaly that he is willing to permit a woman to wear tzitzit without any reservations, but voices reservations about a woman exposing more than a hand’s-breadth of hair. Certainly, the former ruling is far more radical than the latter one. These anomalies aside, Rabbi Henkin is overall a courageous posek. His willingness to critique incompetent rabbinic leadership, his greater tolerance for religious diversity, and his general progressiveness all run counter to deeply entrenched right-wing religious sensibilities. It is a sad fact that even with his prudence, Rabbi Henkin still faces obstacles for acceptance. In the book’s forward Rabbi Henkin states that he was unable to get a number of his articles published, even in such journals as Tradition and Journal of Halacha and Contemporary Society (p. 8). Considering that the latter journal often publishes articles of recent musmakhim in their 20’s or 30’s who do not approach the stature or competence of Rabbi Henkin, this is a sad commentary, indeed. As a posek who has no overriding agenda, who deals with his sources with integrity, and who often rules strictly, Rabbi Henkin establishes himself as an authority who can be relied upon unquestionably when he rules leniently. We need to be grateful that there is a courageous and progressive posek like Rabbi Henkin. It is because of him, and the few others like him, that important issues for the Modern Orthodox community are being seriously addressed. *I would like to thank Devorah Zlochower and David Shatz for their insightful comments and suggestions.